My wife and stepdaughter are in Lowell, Massachusetts for a student conference. Therefore, I am holding down the fort. This includes keeping the dog fed and the house standing. It also gives me the opportunity to spend some time with my parents. Tonight, my dad and I watched Bend of the River, a Western starring James Stewart and Rock Hudson in one of his early roles. It is a pretty good movie with a bunch of character actors from the 1950s. Jay C. Flippen, Harry Morgan, Frances Bavier and Royal Dano are just a few. It is also the first time I have ever seen Stepin Fetchit, a comedian who caused controversy by the racial stereotypes of his on-screen persona. 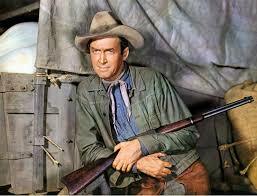 After watching the movie, I decided to look for movie wisdom in the films of James Stewart. After all, I do not have much else to do. Liberty’s too precious a thing to be buried in books. Great principles don’t get lost once they come to light. Don’t miss the wonders that surround you. We all do strange things in our childhood. A man has to know where he’s going. To talk of peace is not hard. To live it is very hard. You should always wipe your hands on your arm after eating. It is not easy to change, but sometimes it is required. There’s a difference between men and apples. Never mix marriage with gambling. Percentage is all against it. Sometimes it’s worse to stay than it is to run. Everybody should have a place to remember and feel they belong to. Sometimes it takes a lot more courage to live than it does to die. Well, there are some men you just can’t trust to stay where you put ’em. I can tell when a man walks through that door whether he prefers blondes or brunettes, drinks whiskey or beer, plays blackjack or poker, is a cheapskate or a high roller. Courage can be purchased at yon’ tavern. There ain’t much glory in trompin’ behind a plow. It don’t pay to eat too much on an empty stomach. Now, as I understand it, a mademoiselle is a madam who ain’t quite made it yet – only younger and friskier. When you love a woman without likin’ her, the night can be long and cold, and contempt comes up with the sun. A man who eats with his hat on is going nowhere in a hurry. Insurance companies move in mysterious ways. Much like God… only far less generous. You cannot live with dreams. A man in love is neither lord nor master of himself. While beauty is skin deep, meanness runs all the way through. There things a man ought never do – spit in church, scratch his self in front of his ma, and pick his nose.